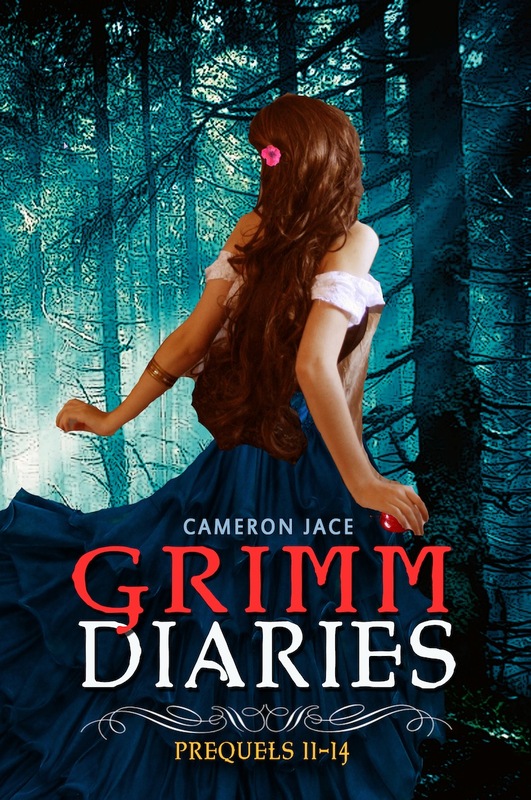 This is the 3rd bundle in the Grimm Diaries novella series by Cameron Jace. To celebrate this event we have an exclusive excerpt from Snow White Blood Red and we get to give away one copy of each Grimm Diaries bundle. For this special occasion the first and second bundle in the Grimm Diaries will be $0.99 each from the 28th until the 31st on Amazon. 10.5) Happy Valentine’s Slay by Wee Willy Winkie The real Sandman Grimm sheds a light on what happened in Jawigi, and tells about how some of the teens in Sorrow spend their Valentine’s Day. 11) Children of Hamlin by the Devil The Devil tells the story of the Piper of Hamlin, who he really is, the historical events he witnessed, and his relationship to Ladle Rat. Most of all, why they call him the Black Death. 12) Tooth & Nail & Fairy Tale by Jack Madly Jack Madly stole a sack full of baby teeth from Bluebeard’s enchanted castle, which reminds him of when he first met the Tooth Fairy when he was a child; a memory he wishes to forget. 13) Ember in the Wind by the Little Match Girl All the Little Match Girl wants is to sell her matches so she uses the money to eat and find shelter from the cold. But no one in the cruel city of crowded London helps her. Eventually, she learns something about who she really is, and it changes her life forever. 14) Jar of Hearts by the Queen of Sorrow The Queen of Sorrow, still trapped in the Dreamworld summons Cassandra, the fortuneteller, to ask her about the identities of Lost Seven. The problem with Cassandra is that she’s cursed that her predictions will never be believed. The Queen is still determined to believe her, but it will cost more than she can bargain for. She is not that giddy, naïve, and helpless princess she pretends to be. Please don’t let her fool you with her innocence if you see her sing to the birds in the forest. Resist her charm from bringing joyful tears to your eyes, and shield yourself from her devious beauty before she deceives you into wanting to kiss her awake. It'll be a kiss of death. Your death. That’s how she fooled the Huntsman, Prince Charming, and me, her birth mother. I still remember the original script of the fairy tale, the one you wrote in 1812. It clearly stated that she was my own flesh and blood daughter. I don’t have the slightest idea why you altered it fifty years later. What was the point of turning me into an evil, narcissistic, and heartless stepmother, blinded by jealousy and envy of the young princess? For years, I have been looking forward to telling you the truth about her, but you were impossible to reach. I am glad I found your brother, Jacob. He told me that you wanted to tone the stories down so children could sleep better at night, instead of having nightmares about the Queen who sought to eat her daughter’s heart and liver. You, of all authors, knew why I wanted to kill her. My actions were justified. I was trying to save my kingdom from her wrath, before everything we loved was destined to an end. The same way you had to rewrite the true fairytales after cursing us, so the War of Sorrows would end forever after. I wondered why you didn’t burn the original scripts, instead of rewriting them. You must have figured out that sooner or later someone would dig up the truth and expose you. Altering it was the smarter solution. You let children believe that the bites were resurrecting kisses, and that torturing glass coffins were made for sleeping beauties, waiting for a prince to come and kiss them awake. A wise man once said that the greatest trick the devil ever pulled was convincing the world he was someone else. You did the same with us, Wilhelm. You turned us into pastiches of the immortals that we really are, and made it harder for us if wanted to persuade the world otherwise.